The American diet is filled with processed foods. Americans tend to be looking for the fast convenient choice with such fast paced lifestyles. When asked and polled they unanimously agree that it works with ease and therefore they consume a great deal of processed foods fitting in their life with not much required. They can throw a processed snack in the car or shelf meal and it will stay good until eaten. But what it takes to stay good and what it zaps the food of is where the problems lie. Processed foods lack the key nutritional richness of whole and natural foods. Without a solid nutrient base they are empty and devoid of nutrition while also ladened with chemicals, artificial flavors, and unhealthy additives. These type of convenience foods also tend to be higher in sugar, salt and bad fats. Recent article by the American Heart Association says that “75 percent of the sodium in the average American diet comes from salt added to processed or restaurant foods.” Imagine cutting that way back or eliminating it from your diet. The big problem with eating out is you cannot control your ingredients and would be frightening to find out some of what is used to prepare your fast meal. We need to understand as people, that making convenient junk food choices, robs our bodies of the overflowing nutrient richness it deserves to function at peak performance. If you are going to eat you should like and enjoy the foods you eat and they should be providing nutrients needed to optimally power forward. What we do know for sure is that eating a healthier diet will lead to a happier and healthier future. We are also seeing report after report highlighting the correlation between convenience, fast and processed foods being linked to common health ailments such as: obesity, diabetes, heart disease, cancer as well as many others. If you are ready to cut back your risks and begin eating a healthier diet these are some things to start implementing. If you cannot read or pronounce the ingredients on your food label there is a great chance it is a processed food. Typically these foods require more chemicals, additives and preservatives to extend the shelf life. You will also find extra sugar, corn, soy and oil throughout. Some of these processed chemical foods will say diet, low fat, or low carb when in fact it is junk. So be more aware of your food source and you will see the tricks before they get you. 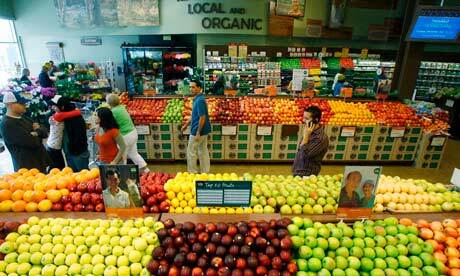 Whole foods will contain less ingredients and typically be pure and whole without processing. With Whole Foods you will have heard of the ingredients. It is so unpredictable to eat out being in the dark with what they are using. Typically restaurants cut corners to produce the food faster which also means less fresh foods, more processing, more chemicals, more calories, more sugar, and more fat. Before you go out, research the area to find best fits for your health. Invest in You! You can look up menus on your phone or online to see if it is filled with processed foods, if so, find another choice. You can always inquire with the restaurant to find out how the dishes are prepared. It is common for chefs to swoosh a full ladle of grease or oil across the grill before cooking proteins and vegetables. It is also common to ladle in artificial butter flavored oil onto foods for flavor. I typically say dry without oil as I have even had egg whites brought to me and them been swimming in oil. So be sure not to be the victim. When you are cooking fast for many at a large restaurant in order to keep the pace it is easier to swoosh with grease or oil to prevent sticking. Its great for the restaurants pace, but not so great for the nutrition of the recipient who will consume all that oil in their meal. Typically these type of oils and fats hide well in restaurant food making you think its juicier and more tender when in fact it is bathing in butter oil and other fats. If you are one that says they would love to eat healthier but you don’t have the added time needed to eat healthy then this is for you. It is super quick to buy fruits and veggies and cut them up for snacks. You can even buy the organic carrots and organic ranch now in the produce section. Typically it is much costlier to have packaged foods rather then cutting them up yourself getting 3 times the amount for half the price. With this savings you can afford to buy whole foods that are certified organic – grown without pesticides or hormones – This is a great way to keep costs low where you get a lot of food for less. Celery and peanut butter is another one these don’t require refrigeration if you dont have it available and they travel well. You can buy small condiment pouch sizes of travel organic peanut butter, organic ranch etc. I see these for about $.25. If you must go non organic know the clean 15, or the “cleaner” non-organic foods such as asparagus, avocadoes, onions, and sweet potatoes if you want to avoid spending on organic foods. The only way to really protect your health with food is when you are in control of it. You can regulate what you eat, you can cook them to the perfect nutrient rich times. We also find food that is cooked tastes much fresher and better. If you find the transition difficult be sure to identify your favorite whole foods. It is much more enjoyable to have the food you enjoy, and that are also good for you. Look for replacements for favorites. If you like sweets or snacks or other, find healthy substitutions, that are just as good but much healthier. Get comfortable exploring! Condiments are processed food items. They typically have hidden salt, sugar and unhealthy fats with no nutrition. Ketchup is not just tomatoes. Ketchup is loaded with a ton of sugar, sometimes MSG, and usually GMO corn syrup. If you must, either make your own with honey or agave and tomatoes, or opt for the organic, non gmo, no sugar, low sodium versions in healthy section of grocery store or health food store like whole foods market, or Trader Joe’s. BBQ sauces have a lot of chemical fillers and MSG a preserving agent, potassium sorbate, salt, flavor enhancers and GMO ingredients. Another condiment empty with nutrition. You should pass on this one too unless it is a healthy version without the gunk. Mayo contains one of the most harmful fats, soybean oil. These fats have been linked to obesity, heart disease, and reproductive problems. This is another great one to make fresh. We like to make this and infuse it with fresh herbs. We can make it in minutes and save big off grocery store prices. It is also fresher when made at home. If you must use mayo and want to buy it opt for olive oil mayo and other healthier versions also either found in the healthy section of your grocery store, or in your local health food store like whole foods market, or Trader Joes’s. Sour cream contains ingredients that have been banned in 27 countries in the European Union: rBGH, genetically engineered bovine growth hormone. Studies have found this ingredient linked to increased risk of breast cancer. We substitute non fat plain greek yogurt for mayo and it is surprisingly delicious. Commonly used as a sauce and dressing. Usually always contain MSG, GMO soybean oil, and artificial flavors and colors. We found a great substitution is to use non-fat greek plain yogurt in place for these dressings you can flavor them with fresh herbs and spices for a healthy sauce or dressing without the junk. Once you start looking at the food labels you will be surprised at how many unhealthy ingredients are lurking inside some innocent looking foods. Be sure to be more aware this New Year, save big on avoiding these foods, find new ones to explore to substitute in, also try making your own for pennies, controlling your ingredients. More and more reports are linking processed foods to serious illnesses. Don’t let them get you down say NO to processed foods.